Here at Alaska Pediatric Surgery, we are proud to do our part keeping kids healthy with pediatric surgery in Anchorage. But raising kids well takes a lot more than just keeping them healthy, and every parent wants the best for their children. One of the greatest tools a parent can put in a child’s tool belt is a love of reading. Unfortunately, teaching kids to read (and getting them to enjoy it) are easier said than done. For your convenience, we have listed some tips for teaching kids to read (and love it!) here. The best, and most natural, way to teach a child to read in a way that doesn’t feel like a chore is to start reading to them from a young age. Children, by their nature, learn through imitating their parents. While they may not technically be learning to read, you will be improving (or setting a basis for) their language skills, as well as making reading time a normal part of their daily habit. On top of all that, it is a great way to bond with your child. No one is ever too young to begin to learn how to read. This advice holds true both before and after your kid is grown up enough to learn the technicalities of reading. For younger kids, encourage discussion during or after the reading. If there are words or concepts your child doesn’t understand, incentive them to ask. Learning how to read is more than just understanding how the phonetic sounds of written words, they need to comprehend the meaning of the words, the context, and the overarching themes and message as well. Education and the ability to regurgitate answers are two completely separate things, so make sure you instill the former in your child from a young age. As we mentioned before, kids learn by watching their parents more than anyone else (at least until high school). If the only time they see you read is when you are reading to them, their interest will likely dwindle when they have opportunities to read without you. Set a good example, and make sure that are aware of your reading habit. It matters less what you are reading (which the kids likely won’t understand anyways), and more THAT you are reading. As far as child raising duties go, curling up with a good book isn’t half bad! What we mean by environmental print is any copy that is readily displayed in the environment. This includes everything from the large wooden letters you (may have) above your babies crib, to fast food signs, clothing brands, and traffic signs. Environmental print is the written language your kids are exposed to naturally, which is often where teachable moments will arise on their own. Many children are overwhelmed by parental and school expectations to learn to read when it comes to understanding the technical stuff, so the more definitions your child learns naturally (“What does that word mean?”), the less they’ll be overwhelmed when they are responsible for learning this material. Word families are groups of words that have similar patterns in their combinations of letters. Usually word families come in the form of rhymes. For instance, cat, hat, and matt are all in the same word family. In a rhyming word family, the first part of a word is known as the “onset”, while the last part of word is called the “rime” (makes it easy!). To make the rhyme, the onset changes, while the rime stays the same or similar. Understanding word families improves phonemic awareness, which is the basis for understanding language. Children with developed phonemic awareness will be able to better learn how to read by grouping sets of letters in words they know to start to understand words they don’t. 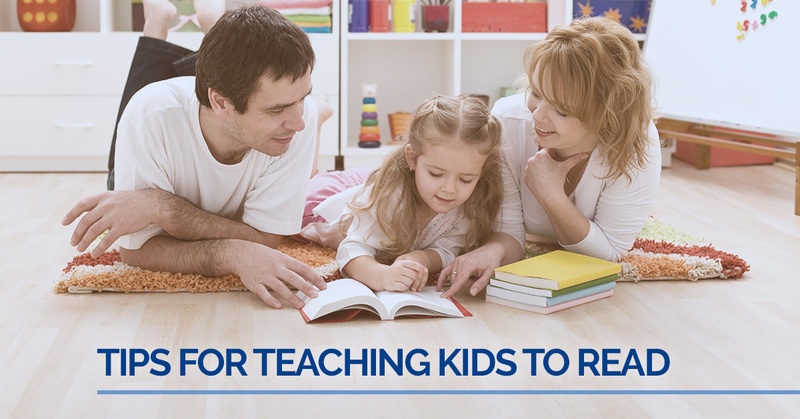 Hopefully these tips help your kids on their reading journey! If they ever end up requiring pediatric surgery in Anchorage, Alaska, we can help. For more information, please do not hesitate to give us a call. One of our friendly and knowledgeable representatives will be happy to answer any questions you may have.